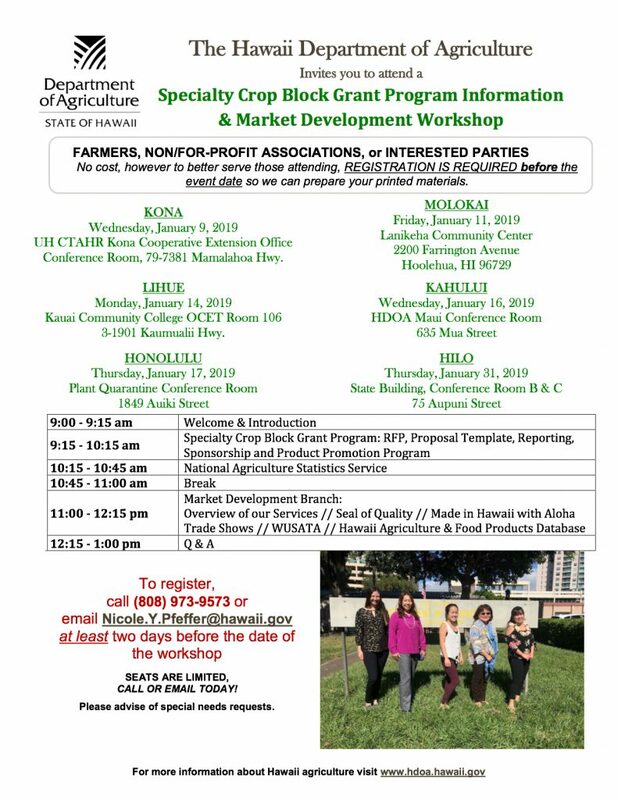 The Market Development Branch of the Hawai‘i Department of Agriculture (HDOA) will be holding statewide workshops in January for those who are interested learning more about the Specialty Crop Block Grant Program (SCBGP) funded by the U.S. Department of Agriculture (USDA). The federal program, funded by the Farm Bill, provides grants to states to fund projects that solely enhance the competitiveness of specialty crops, such as fruits, vegetables, tree nuts, dried fruits, horticulture and nursery crops. The application process for the 2019 SCBGP is expected to begin in January 2019 so those interested in applying for these grants will receive guidance at these workshops. 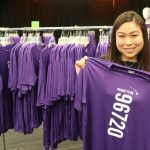 The workshops run from 9 a.m. to 1 p.m. and are free. However, registration is required at least two days in advance of the workshop. 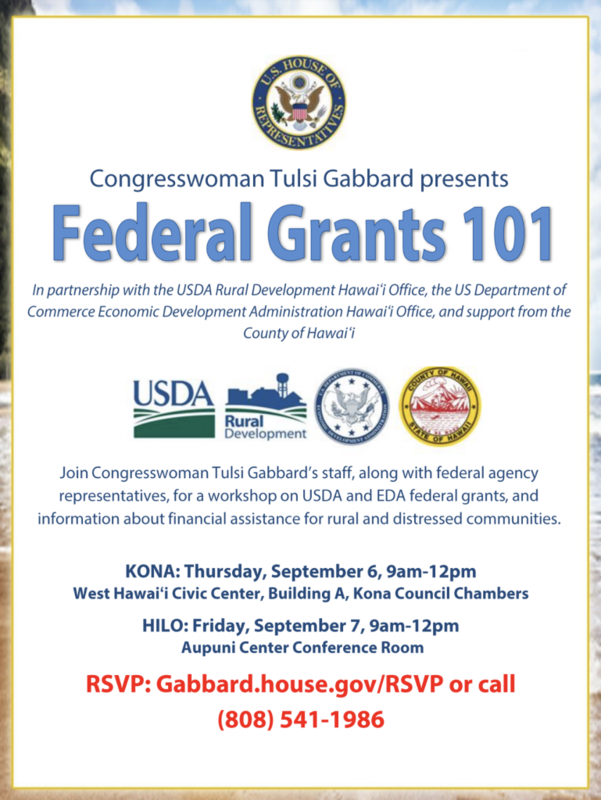 To register, call (808) 973-9573 or Nicole.Y.Pfeffer@hawaii.gov. To view and download the workshop flyer, go online. 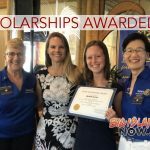 The Hawai‘i request for proposals for the 2019 SCBGP will be available in January 2019. Projects selected will be announced in March 2019 with funding to be available in January 2020. 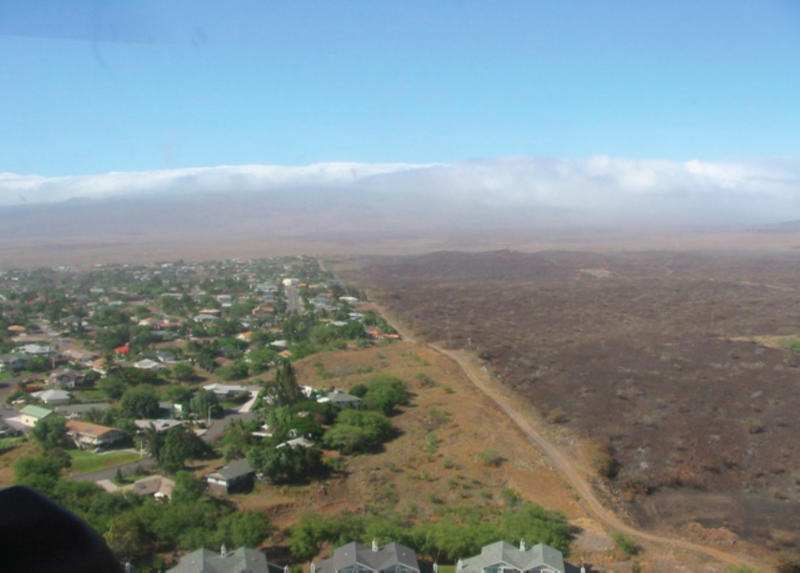 It is anticipated that grant funds totaling about $400,000 will be awarded for Hawai‘i projects. For more information on the USDA SCBGP go online.